Last year for World Prematurity Day I did a 24 hour social media marathon. This year I decided to do the same, and ask for sponsorship However it didn't seem enough, I decided I needed to do something outrageous. I am too fat to sky dive, it's the wrong time of year for running or swimming, what could I do. At Bliss ask staff in neonatal units to wear purple, why not go one step further! Dye my hair purple. I decided to make a big commitment, I'd do it properly. So I am now blonde so the purple is vibrant. There's a serious message behind my purple hair. You see, World Prematurity Day is important to me. I first got involved in 2010. The opportunity to talk and share about our premature babies was amazing. Now it's a true global event. My amazing friend Chauntel a fellow Aussie refugee in Bury arranged the awesome Lei at Taylor Faith to do our hair at the last minute when my arrangements fell through. 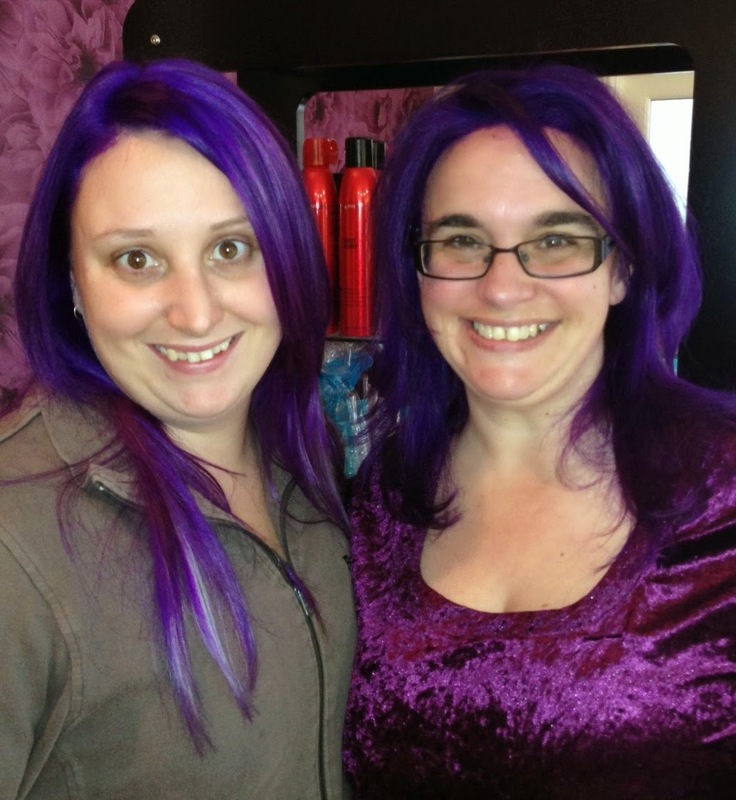 Having purple hair is confronting, a bit like having a premature baby. You are different. 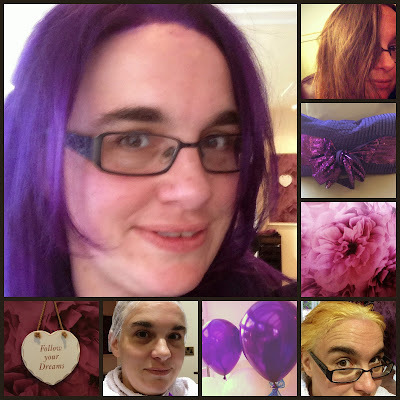 There are good things about having purple hair, but you do stand out, a bit like how I felt at baby group with my 5lb 4 month old baby. Having a premature baby, unlike purple hair, is not a choice, its something thrust upon you. I am so grateful to Bliss for all the help they have given me, and to friends like Chauntel. Thank you to all those who have sponsored me so far!